We created this list to do the heavy lifting for you and point out the products that are really transforming enterprise data management and analysis. Database Trends and Applications magazine announced its third annual list of trend-setting products in data management and analysis today. 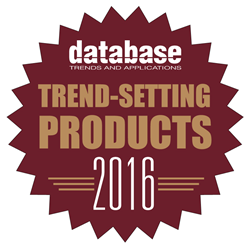 The list, “DBTA Trend-Setting Products for 2016,” recognizes products in the marketplace that are both unique and effective in meeting the current and future needs of customers. In all, 92 products are highlighted in the special December edition of Database Trends and Applications magazine and on the DBTA website, dbta.com. View this year’s list of trend-setting products here.